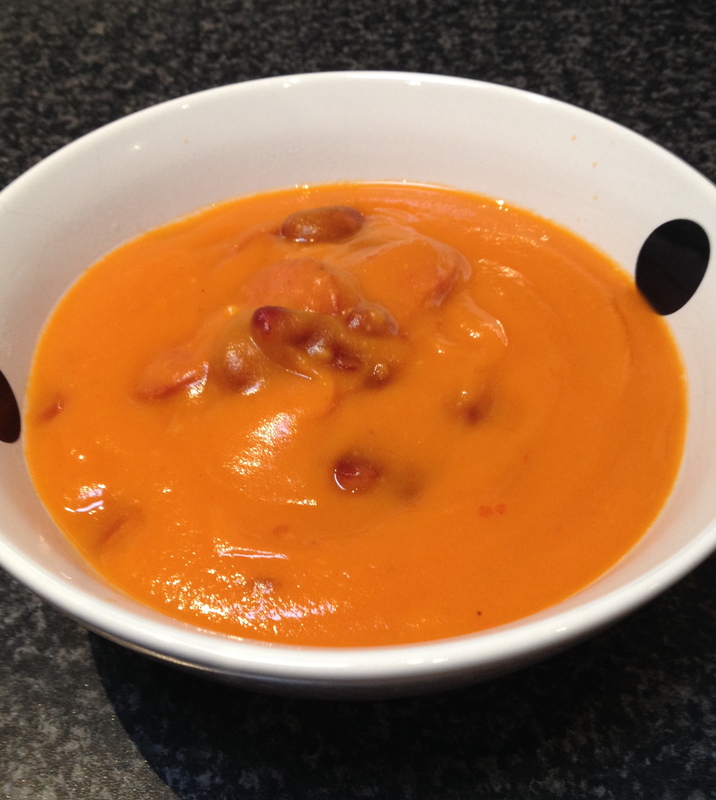 I came across this recipe on a UK blog called The Thermo Queen. Immediately, I thought this sounds really good! 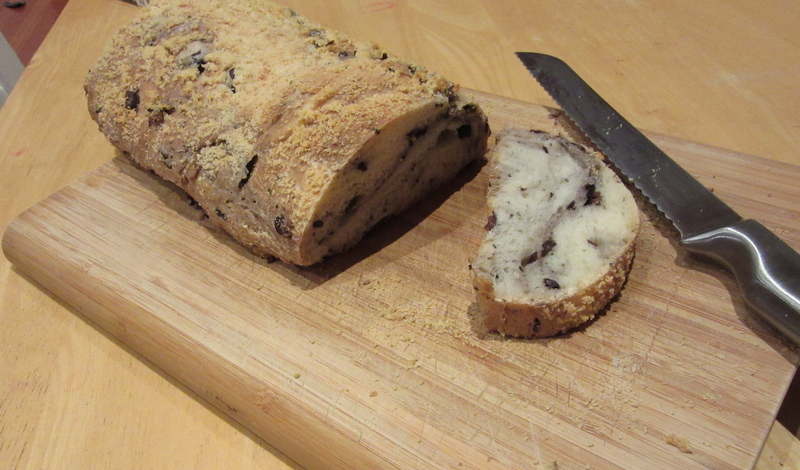 I love parmesan cheese & I love olive bread, so it sounded like a match made in heaven to me. 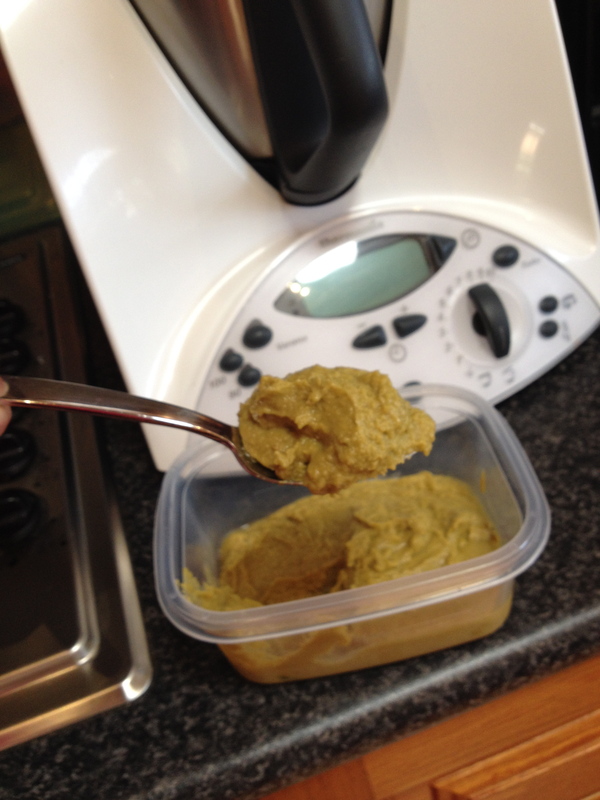 I’ve made a few changes to the method of the original recipe & the result is delicious. This is a great bread to serve when entertaining, as it tastes amazing I bet your guests won’t believe you made it! 1) Place parmesan into TM bowl, grate 8 seconds/speed 9. Set aside. 2) Without cleaning TM bowl, add garlic & rosemary, chop 5 seconds/speed 7. 3) Add water & yeast, warm 1 minute/37 degrees/speed 1. 4) In this order, add flour, salt & oil. Mix 6 seconds/speed 6. 5) Knead 2 minutes/closed lid position. 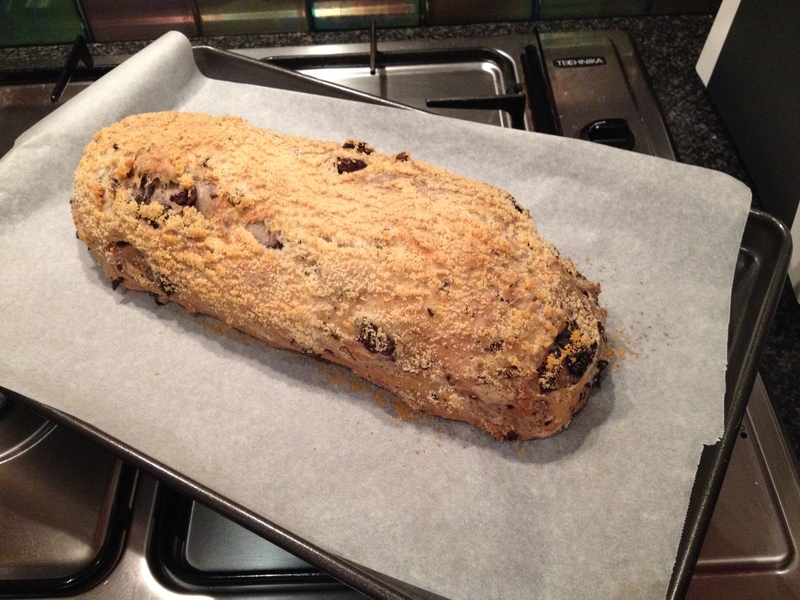 Add olives, knead for 1 minute. 6) Remove dough from TM bowl & wrap in thermomat to prove for 30 minutes. The dough is very wet/sticky, so you may need to use your TM spatula to remove all the dough. As the dough is sticky, to help clean the TM bowl, cover the blades with cold water, a squirt of dishwashing detergent & turbo 3-4 times. 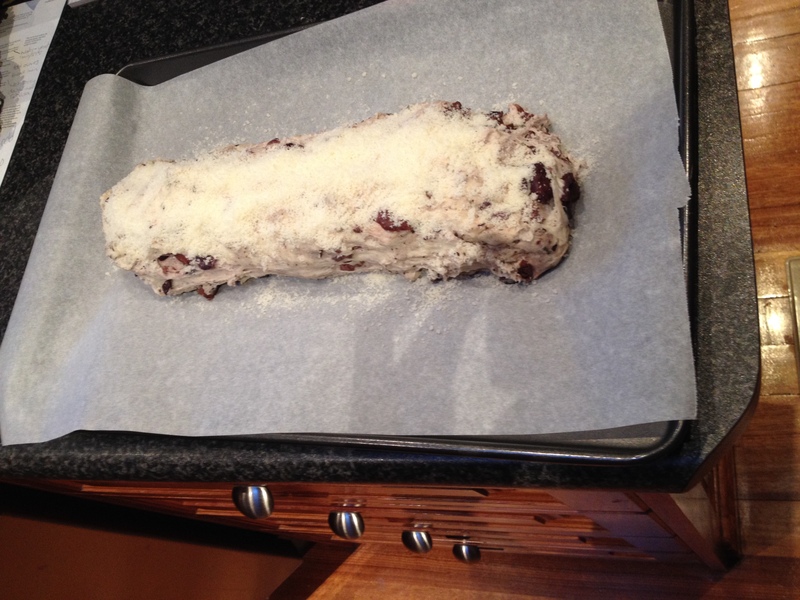 7) After proving, place dough on an oven tray lined with baking paper & shape the dough any way you like. Top with grated parmesan cheese. Below is my bread dough, prior to going in the oven. 8) Place into a cold oven, turn oven onto 180 degrees celsius & cook for 1 hour. This bread is put into a cold oven, so the dough has it’s second proving as the oven warms up. Before cooking, you can shape the dough into any sale you like. I recommend a long, thin shape, as the dough spreads out quite a bit when cooking. If you love olives, use 200g, however, you can adjust accordingly. People often ask me at demo’s if you can make your own recipes in your Thermomix. The answer is yes, you can! 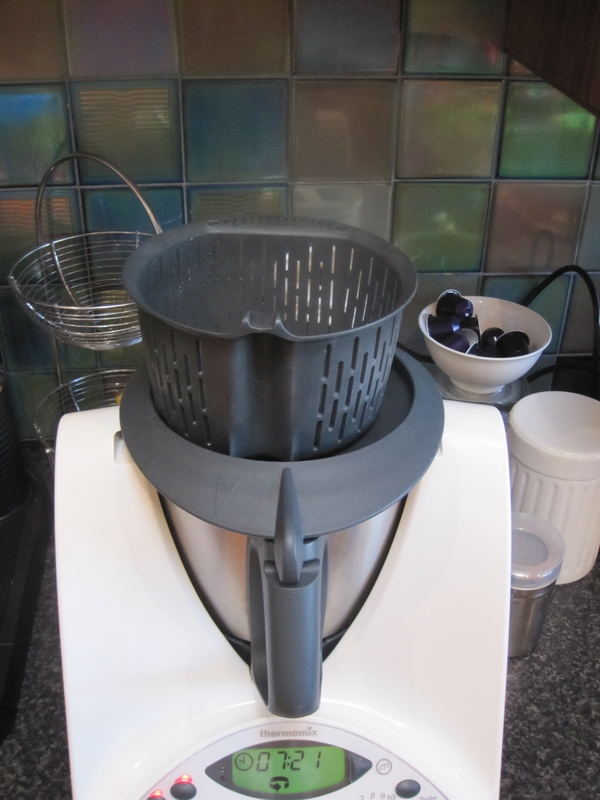 It just takes some experience cooking Thermomix recipes & getting to know the functions of the machine, in particular what speed to turn the blades for various sizes of chopped foods. For example, I always chop onions on speed 5 & garlic on speed 7, regardless of what a Thermomix recipe says. The other tip is to zero the scales & record the weight of ingredients from your recipe, so the next time you make it, you can just weigh your ingredients straight into the machine. 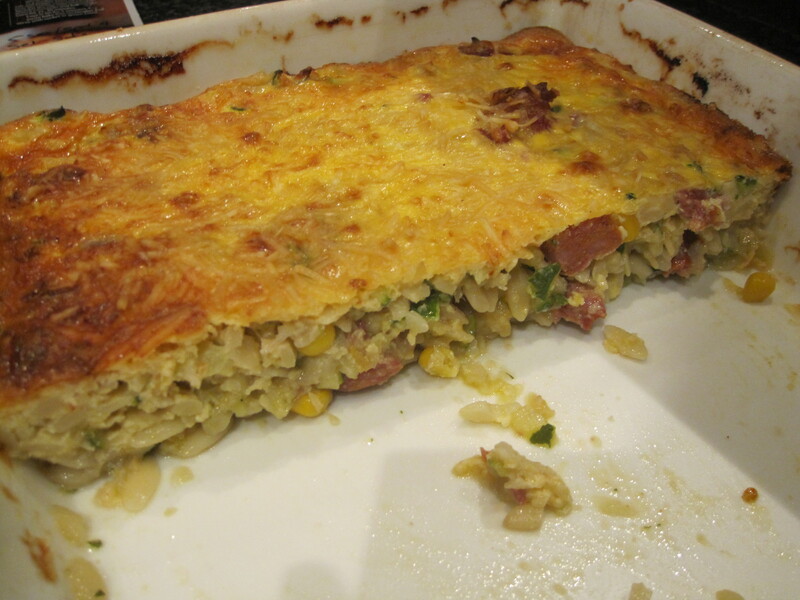 I found this Chorizo & Corn Pasta Bake recipe in a magazine recently & thought it sounded good! 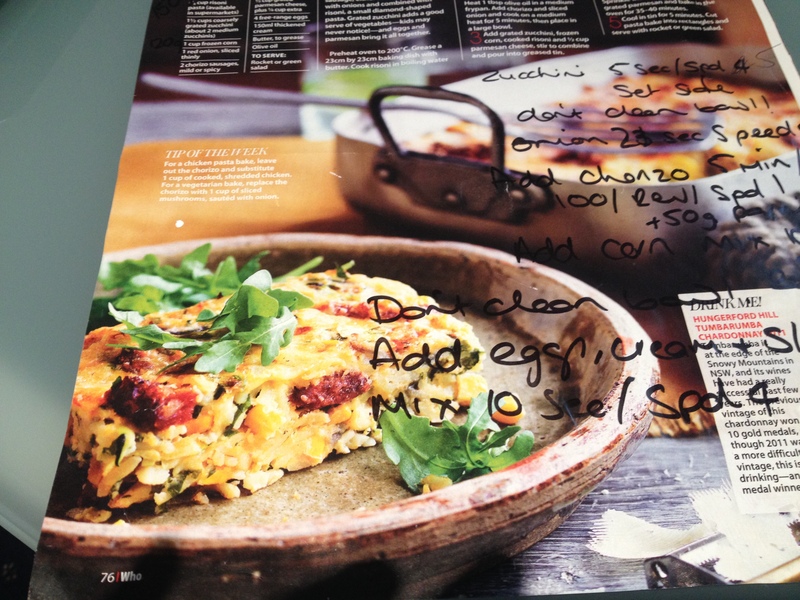 As you can see in the photo, I made notes on the recipe as I made it, so I could convert it to Thermomix method. This is an easy family meal that can be made ahead of time. It was really delicious & the whole family loved it. For kids who don’t like to eat anything green, you can even peel your zucchini! For a vegetarian variation to this dish, see notes below. 1) Preheat oven to 200 degrees & grease a baking dish. 2) Cook risoni in boiling water till al dente, drain & pour into baking dish. 3) Meanwhile, cut chorizo’s in half lengthways & slice into 1cm thick pieces. 4) Place zucchini in TM bowl, chop 5 seconds/speed 5. Set aside. 5) Without cleaning the bowl, add onion, chop 3 seconds/speed 5. Scrape down the sides of the bowl. 6) Add oil & chorizo, cook 5 minutes/100 degrees/ Reverse/speed 1. 7) Add corn & 50g grated parmesan, mix 10 seconds/Reverse/speed 3. Pour mixture into baking dish over risoni & gently stir to combine. 8) Without cleaning the bowl, add eggs, sour cream, salt & pepper. Mix 10 seconds/speed 4. 9) Pour egg mixture over risoni mixture & gently stir, to ensure the egg is mixed through everything & not just sitting on top of risoni. 10) Sprinkle extra parmesan over the top & bake for 35-40 minutes. Cool in baking dish for a few minutes & cut into rectangles & serve with rocket or green salad. For a vegetarian option, replace the chorizo with 200g sliced swiss brown mushrooms. Saute the mushrooms with the onions in step 5. You can also substitute the chorizo with 1 cup of cooked, shredded chicken. I used light sour cream for this recipe, but you can use any type of cream. The original recipe was for 150ml thickened cream, but I always substitute cream with light sour cream.